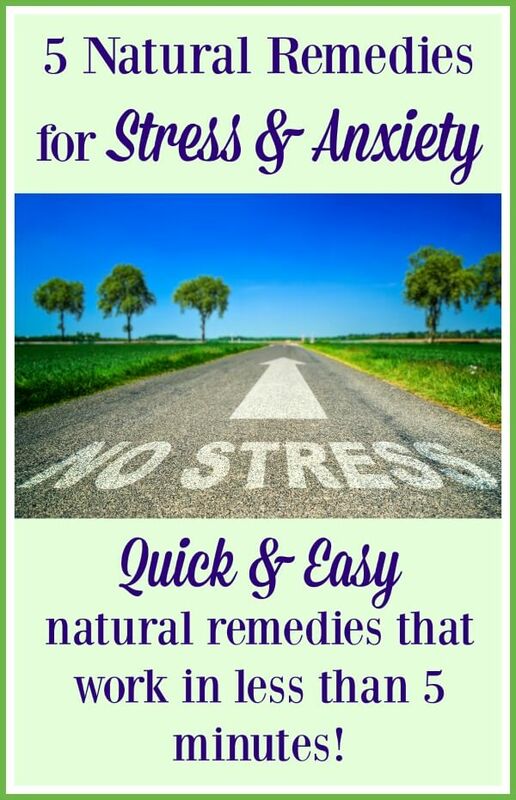 If you’re feeling a little stressed this holiday season, here’s 5 natural remedies for stress and anxiety that work quickly and effectively! I’m sitting here peacefully sipping some green tea while typing away on my computer. There’s Christmas music playing in the background and little white lights twinkling from my tiny pine tree. I just got off the phone with one of my dear friends, who started off our conversation stressed, overwhelmed and in tears because she said, in her words, “the holidays bring out the worst in me.” And I can relate! It wasn’t too many years ago that I felt the same way. Planning ahead isn’t one of my strong suits, so Christmas shopping always felt totally rushed and hectic as I dealt with other last minute holiday shoppers. And the whole time, I resented feeling like I HAD to buy things for people. It seemed like my calendar was jam packed with holiday events and most of them were things I really didn’t even want to do. On top of that, my dad died a few days before Christmas so the holidays seemed to be an even starker reminder that he isn’t here to celebrate the season with us. 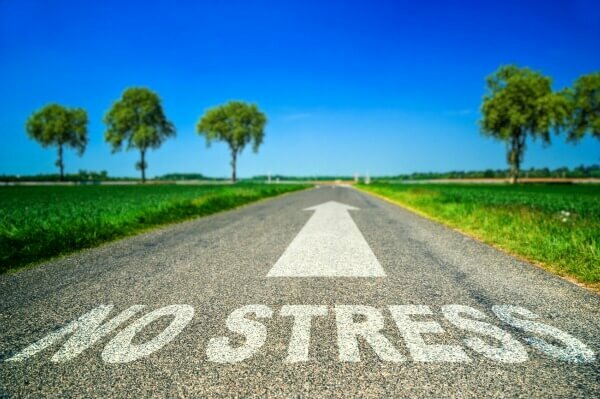 The holidays can definitely be a time of stress, anxiety, frustration, and emotional pain. They certainly were for me for many years. But then something changed just a few years ago……. NO to all the gift buying. I don’t think gifts are bad, but I realized that all my very favorite Christmas memories aren’t at all about gifts and everything about experiences with my favorite people……..
My dad reading us the true story of Christmas, reminding us that this whole thing started because Jesus was born to give us a gift of grace, love and acceptance that can never be be found in a shiny wrapped box. My mom making us a huge family breakfast every Christmas morning with her famous, drool worthy homemade cinnamon rolls. My grandmother getting the whole gang together the night before Christmas to do a “pull basket” filled with hilarious inexpensive gag gifts, some definitely not appropriate for viewing with your family, but that’s what always makes it so funny. You know, now that I’m thinking about it, I don’t even remember any specific Christmas gifts from years past – it’s all about the experiences with the people I love. I bet it’s the same for you, too! NO to the obligations that don’t bring me or my family joy. Once November rolled around, my calendar would start to fill up with holiday obligations, parities and events. We used to have so much to do that we’d often have to leave parties early to rush out to the next obligation. And the whole time we were exhausted and wishing we were home or doing something fun that we actually wanted to do. These days, I am very choosey about where I spend my time and energy and what I say yes to. I say no (politely) waaaaay more than I say yes. Rather than trying to do it all, be everywhere and fulfill all the obligations that other people think I should do (all which results in stress, anxiety and overwhelm), I say yes to the select few events that create meaningful, joyful experiences. As a result, the events that we do say yes to, we are fully present, on our a-game, and able to joyfully give the people around us the time and attention they deserve. When you know what’s truly important, it’s a lot easier to say no to what’s not! Keeping my holidays simple with far less gifts and obligations has allowed me to look forward and truly enjoy and savor the Christmas season stress, anxiety and overwhelm free! There is always something to be thankful for. Always. Always. Always. Several studies show that it’s impossible to feel stressed and thankful at the same time (how cool is that?!). Whenever I’m feeling a bit stressed or down in the dumps, I’ll grab a pen and write down 5 things I’m thankful for. It’s so cool how doing that simple thing can quickly turn your mood and perspective around. Try it next time! This is my personal favorite natural remedy for stress and I can always count on my passionflower tea to calm me whenever I’m starting to feel anxious or overwhelmed. It’s such a great relaxer! THIS is the kind I use. Deep breathing reverses the effects of stress. Put your hand on your belly right above the bellybutton. Breathe in deeply through your nose. You are doing it right if you hand moves a few inches. Slowly exhale through your mouth. Try 3 of these long breaths for a quick refresh or 10 to thoroughly reset. It feels so good, doesn’t it?! Ashwaganda is an adaptogenic herb that helps correct cortisol levels, eases anxiety and protects brain cells from the damages of stress. (It also helps insomnia, memory, stabilizes blood sugar and improves hormone, thyroid and immune function.) THESE are the pills that I use and recommend. Read the amazon reviews to see the testimonials of this natural stress relief herb. Within a few minutes of taking 1-2 ashwaganda pills, I feel more mentally calm (plus it also helps me sleep better!). It’s an amazing herb that I swear by! Lavender essential oil is well known and documented to be an effective natural remedy for stress. I do enjoy lavender essential oil, especially when I take a bath (I use THIS one), but my personal favorite essential oil for stress is a special stress-free blend (THIS one). I love the smell and I do notice that I feel a lot more relaxed and calm when using it. It also helps my dog with his anxiety, too! It even comes in a convenient roller ball, pre-diluted with fractionated coconut oil formula so you can stick it in your purse or pocket and roll on the scent whenever you start to feel stressed. I keep one of those stress-free roller ball blends in my purse. You never know when you’re going to need it – it’s especially handy for when I get stuck in traffic! 🙂 I roll it onto my temples and on the back of my neck. When I apply it to my dog, I rub some on my palms and then rub my palms all over my dogs head and neck. It makes him smell so good and he loves it! My hope for you is that you experience joy this holiday season. Stop to count your blessings. And then count them again. The gift of joy is waiting for you when you do! 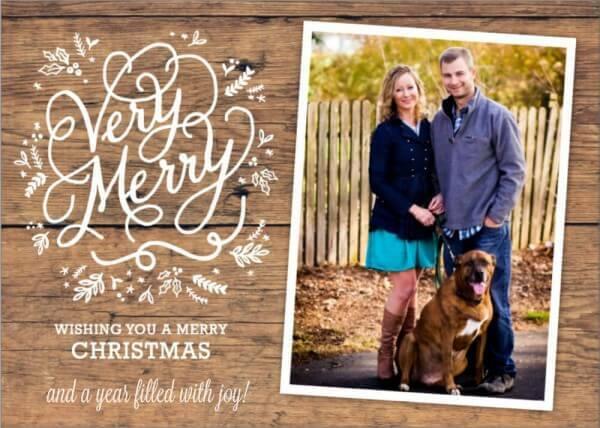 A very Merry Christmas from my family to yours! 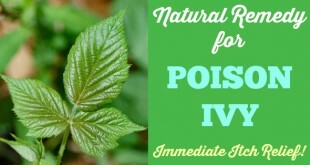 Natural Remedy for Poison Ivy – Immediate Itch Relief! 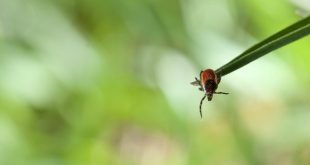 Works on Bites, Stings & Rashes, too! Have you heard about oil pulling? 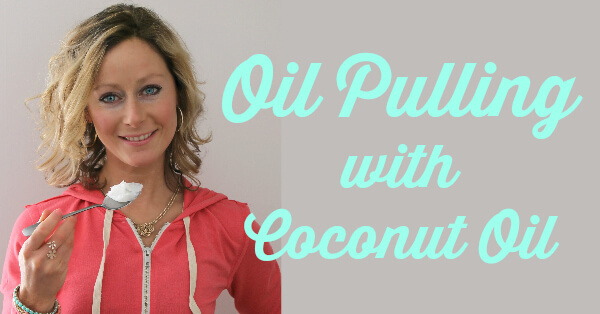 I'll teach you all about oil pulling with coconut oil, the health benefits & my results from oil pulling this past year. Thank you, thank you. We haven’t done gifts for years and it takes such a load of stress and rushing around off of our plates. Christmas isn’t about Santa or gifts anyway, so why? If inspired we make or purchase a few things for a few people, too. Others may think we’re strange, but you just confirmed what we’ve known for awhile now. Merry Christmas, Kelly, and I look forward to more of your healthy tips in 2016! I always enjoy when you pop in to leave a comment, Janet! Merry Christmas to you!! Thank you for honoring Christ! It was such a blessing! journal and deep breathing have literally changed my life. I just may try the ashwaganda. Have a Merry Christmas Kelly! Looking forward to seeing what you have in store on 12/26! Merry Christmas, Elizabeth! Ashwaganda is one of those things that I tried just for the heck of it last year and I noticed such a difference that it stuck! Merry Christmas and Happy New Year! My best wishes for you and family. All your posts are great, but this one is really a Blessing!!! I’ll try Ashwaganda, never heard of it. Thank you for the tips and your words. Thank you, Monica!! A New Year full of blessings to you! Same feelings here Kelly 🙂 I’m gonna have to give Ashwanganda a try….probably spelled that completely wrong! Thank you for your comment, Elviira! I can relate to your husband! Truthfully, the first year we skipped presents, my husband and I felt so guilty and we wondered if we made the right decision. But then after it was all over, we stepped back and realized that no one else cared – we brought the guilt on ourselves because we were too worried about what other people would think of us. It’s been a few years since we stopped doing presents and it’s been so wonderful to come to once really stressful events stress-free and fully enjoy everyone’s company.